ASLA-NY is proud to have supported Council Member Mark Levine and Tupper Thomas from New Yorkers for Parks at the May 27th Rally for Parks at City Hall Park. With trees donated by the New York Restoration Project and turf donated from a TPL Playground Program contractor, a pop-up park was created to set the stage for the event. Below is the press release from Levine’s office. NEW YORK — On Wednesday, May 27, City Council Parks Committee Chair Mark Levine, and New Yorkers for Parks alongside elected officials and more than 100 people from across the city, representing community gardeners, park users, church groups, and New Yorkers who care about their parks, gathered today to show their passionate support for our city’s green spaces. Parks supporters from across the city called on the Administration to fund key initiatives for public green spaces to address the equity gap. There are currently hundreds of struggling parks in low and moderate income communities that have fallen behind highly funded parks in wealthier areas. Funding proposals the Council has called for that are not part of the Mayor’s Executive Budget includes support for the Community Parks Initiative, Green Thumb Program, and the hiring of additional gardeners, playground associates and maintenance workers. All of these programs are vital to advance a meaningful Park Equity Agenda. The Mayor’s Executive Budget provides increases in funding for parks enforcement officers and tree maintenance, but cuts that impact parks operations remain in place. At yesterday’s executive budget hearing, Commissioner Silver acknowledged that the Mayor’s budget proposal cuts the jobs of 150 maintenance workers and gardeners, as well as staff at Community Parks Initiative sites. Additionally, the Administration’s ten year capital spending proposal allocates no funding for midsize anchor parks and represents a cut from the previous administration’s capital plan. “As the city embarks on one of the biggest building booms in its history we must plan for green space and open space. Parks are anchors of healthy neighborhoods all over the city, and we must do more to ensure that every community has healthy green space–especially low- and moderate-income areas. I look forward to working with the Administration, colleagues in the City Council and parks advocates from across the five boroughs to ensure our green spaces are fully and equitably funded,” said Council Member Mark Levine, Chair of the City Council Parks Committee. “Vibrant parks are the center piece to quality of life in New York City. In many communities in my district, the local park is the only green space that is available to my constituents. Unfortunately, our city’s parks have been underfunded for way too long, resulting in parks that are unsafe or rundown. Now is the time for the city to invest in green spaces in every neighborhood–New Yorkers deserve access to high quality parks no matter where they live,” staid Council Member Rafael L. Espinal, Jr., of Brooklyn. “Quality parks increase the health of our neighborhoods. They provide a welcome change of pace from City life and afford children of all economic means a free place to play. As we as a Council make strides against economic and environmental injustices, it is crucial that we address the equity gap in our Parks system and prioritize providing higher quality parks to those living in low-to-moderate income communities,” said Council Member Vanessa L. Gibson (D-16th District, Bronx). “By increasing Parks funding, we will have an opportunity to better care for those parks without private endowments while adding significant value to our communities. I thank Council Member Levine for his leadership on this critical issue. “The residents of Northern Manhattan know all too well the inequities that exist in our parks system. Though we boast the second greenest area in Manhattan we have only a fraction of the requisite resources. Today, I am proud to join my colleagues as we call for greater equity and transparency, so that the communities like mine in Northern Manhattan receive the resources we deserve,” said Council Member Ydanis Rodriguez. “Central Park and Riverside Park in my district depend on funds from private donors to cover basic operating costs, and other parks are not so lucky. I join Council Member Mark Levine in calling for more funding for New York City parks,” said Council Member Helen Rosenthal. “Our parks are largely supported by volunteer organizations in our communities and they do a wonderful job, but they need our support so I stand with my colleagues and New Yorkers for Parks in calling for more funding to provide cleaner, safer parks and gardens,” said Council Member Donovan Richards (D-Queens). We need to provide more funding for our Parks to close the equity gap in the city’s parks system. Funding should be distributed equally so our children, families, and seniors can continue to enjoy our parks for recreational activity,” said Council Member Darlene Mealy. Restore $8.7 million for gardeners and park maintenance workers. $1 million increase for the Green Thumbs Program to support the City’s more than 600 community gardens. Restore $750,000 in funding for the Parks Equity Initiative. $5.4 million to hire 200 additional playground associates. $500K to support a Master Planning process for the city’s mid-sized parks–especially those which are regional draws with high usership. $5 million for the Green Thumbs Program to address infrastructure needs. This week will mark important developments in the budget discussion for our city’s precious green spaces. As our city grows, providing healthy parks will be crucial to making life more livable for all New Yorkers. This means investing in playgrounds, community gardens, street trees, and adequate staffing for the critical maintenance work needed to ensure our parks can thrive. Please join Council Member Mark Levine, New Yorkers for Parks, The New York League of Conservation Voters, El Puente, American Society of Landscape Architects, New York Chapter, advocates, activists, community gardens enthusiasts and elected officials from across the city for a rally to stand up and fight for our parks. Community gardens play an important role in the neighborhoods they serve by providing much needed green space to neighborhoods and schools. These gardens help to promote environmental education, encourage local food production and activate unused open space in neighborhoods. Because the budget for supporting the City’s 628 community gardens and 483 school gardens is so small, the Council calls on the Administration to allocate additional capital funding of $5 million in the DPR’s budget in Fiscal 2016 for the Green Thumb program. The funding will provide for infrastructure needs such as fencing, irrigation systems, and other equipment needed for the community gardens. Community gardens play an important role in the neighborhoods they serve by providing much needed green space to neighborhoods and schools. These gardens help to promote environmental education, encourage local food production and activate unused open space in neighborhoods. The Green Thumb program has historically relied on federal block grant funding which has been inadequate. As such, the Council urges the Administration to include additional baseline funding of $1 million in DPR’s budget in Fiscal 2016 for the Green Thumb program to support the City’s more than 600 community gardens. DPR’s tree and sidewalk program helps to repair severe sidewalk damage caused by tree and root growth citywide. Currently, DPR’s budget includes annual funding of only $3 million for the tree and sidewalk program. Over the past several years, DPR has experienced significant budget cuts in this area, resulting in a huge backlog of repair orders. As a result, to ensure that DPR has adequate funding to begin to make safe the approximately 25,000 backlogged sites, the Council urges the Administration to include additional baseline funding of $3 million, for a total of $6 million, in DPR’s budget in Fiscal 2016 for the tree and sidewalk program. Playground associates play a vital role in the City’s neighborhood parks by providing supervised recreation in the local parks and playgrounds. Currently, the DPR has only 145 playground associates to serve all of the City’s 680 playgrounds that have comfort stations. Consequently, many City playgrounds lack the services of playground associates. City playgrounds remain a vital source of recreational opportunities for every New Yorker, and supervised recreational activities are crucial in fighting obesity and keeping the City’s kids healthy. The Council calls on the Administration to include additional baseline funding of $5.4 million in DPR’s budget in Fiscal 2016 to hire 204 additional playground associates. Code, Parks’ Rules and Regulations, and acting as Parks’ ambassadors. Public safety in parks and playgrounds is one of their most important responsibilities. However, because there are only 182 PEP officers available many City parks are left without any PEP presence. To address the need for additional PEP officers and to ensure that more City parks receive the benefit of having PEP officers present, the Council allocated $5 million in the Fiscal 2015 budget for 80 additional PEP officers. However, because the funding was not base-lined, it is not included in the Fiscal 2016 Preliminary Budget. The Council urges the Administration to increase the baseline funding for PEP officers in Fiscal 2016 by $5 million for 80 additional PEP officers, bringing the total number of PEP officers to 360, including 98 that are privately funded in Fiscal 2016. Last year, the Council successfully negotiated an $8.7 million funding allocation for additional gardeners and City Park Workers (CPWs) including a $3.7 million allocation from the Council to help maintain neighborhood parks citywide. The majority of this funding was later used by the Administration to support the expense component of the Community Parks Initiative (CPI) program. CPI is a new City initiative launched by the Administration to aggressively tackle equity issues in the City’s under-resourced communities by investing $130 million in parks with less than $250,000 of capital investment over the past 20 years. Because the Fiscal 2015 allocation was not base-lined, all workers associated with the funding are in jeopardy of losing their jobs in Fiscal 2016 and in the out-years. For the current year, DPR has a total of 750 CPWs and 150 gardeners including 50 gardeners and 100 CPWs that are paid for with this funding allocation. Increased public spending is needed for the wellbeing of the City’s precious green spaces, especially in low- and moderate-income neighborhoods. The Council calls on the Administration to restore and baseline the $8.7 million funding for park maintenance workers in Fiscal 2016. The Fiscal 2015 Adopted Budget includes $750,000 allocated by the Council for the Parks Equity Initiative program. This program supports community programming in smaller neighborhood parks through grants to local community groups. The groups do outreach and programming in neighborhood parks. This initiative was absorbed into the new citywide Community Parks Initiative (CPI) program launched by the Administration after the 2015 Budget was adopted. However, the Council’s allocation was not base-lined and therefore not included in the Fiscal 2016 Preliminary Budget. To help support volunteer stewardship groups in parks in low- and moderate-income neighborhoods, the Council recommends that the Administration restore and baseline this funding in Fiscal 2016. Fiscal 2015 Adopted Budget to support DPR’s tree pruning efforts. With the Fiscal 2015 Council funding the DPR has experienced the highest level of block-pruning in over 13 years. DPR will prune over 70,000 trees this year, out of 590,000 street and park-perimeter trees that need to be pruned resulting in a pruning cycle closer to the industry standard of seven years if sustained. The failure to restore this funding could hinder the DPR’s efforts to reduce the pruning cycle. Since adequately pruning trees would help minimize the danger posed by falling tree limbs, the Council urges the Administration to restore and baseline this funding in Fiscal 2016. This action will restore total funding for tree pruning to $4.4 million in Fiscal 2016. The Fiscal 2015 Adopted Budget includes a $750,000 allocation provided by the Council for a total of $3 million for tree stump removal citywide. The funding provided in Fiscal 2015 will allow the DPR to remove 6,700 stumps and continue to remove 99 percent of reported dead trees within 30 days. However, the Council’s allocation was not base-lined and therefore not included in the Fiscal 2016 Preliminary Budget. As such, to ensure that DPR will continue to meet its target for tree stump removal, the Council urges the Administration to restore and baseline funding in the amount of $750,000 in Fiscal 2016 for tree stump removal. Laura Starr, Past-President of ASLA-NY, wrote the following essay regarding the upcoming Mayoral Transition and how crucial it is for the new administration to understand the importance of the design and stewardship of our open spaces. It has often been noted that the Bloomberg administration has seen a major expansion of parks and public spaces in New York. Walk the Highline; meander through the new Brooklyn Bridge park; travel along a bikeway and gardens through the Battery and up the West Side; sit in café seating where there used to be street; go to Williamsburg, Hunter’s Point, the Harlem River: one can scarcely avoid encountering new green space. We must not lose this momentum and the structural underpinnings of this progress as we usher in a new administration with different priorities. Like no mayor before him, Mayor Bloomberg understood how to bring the genius of the cultural capital of the world to bear on its own future. Using regulatory changes, he altered the contract game to favor the best design, not the lowest bid; as a result, we have world-class talent reshaping our city. He mandated that public works be state-of-the-art exemplars of green design. He broke with tradition to hire talented commissioners based on merit rather than patronage, and they in turn broke bureaucratic barriers, making stormwater gardens and bike lanes. In response to Sandy, some of the world’s best minds are channeling a forced adaptation to climate change into a positive aesthetic, economic, and community transformation. The next mayor should continue to enable New York’s brain power to focus on the green challenges of our century. Green spaces have been called vanity projects by some, but this is a damaging fallacy that rests on a benighted understanding of the relationship of urban design to the economic and physical welfare of our city. The fact is that the green network of parks, plazas, bioswales, bike lanes, and green roofs constitutes infrastructure, with all the economic, social, and public-health implications of that word. Like other infrastructure, the green network creates jobs and raises revenue, directly and indirectly. It fosters the growth of business by creating oases that people want not only to live near but to travel to—to eat, to shop, to decompress. It raises property values by making the city as a whole, as well as specific locales, more desirable. The green network improves the mental and physical health of the citizenry. Trees and parks filter out air pollution, reducing rates of asthma and cancer; people who live near them have lower blood levels of cortisol, linked to many diseases; those who exercise outdoors do so longer and more often than do those who must rely on a gym; walking through a green space improves mental performance on tests. The green network physically protects the city, diverting storm water from the overburdened combined sewer system. Its pleasant spaces will provide barriers against catastrophic storm surges. The green network provides space for social gatherings, summer programs, gardening, sports, and playgrounds, knitting together our communities as surely as does other infrastructure. Increased social cohesion in turn renders the city more resilient in emergencies, as was shown by Eric Klineberg’s famous study of survival rates during the Chicago heat wave of 1995. These functions reinforce each other. The city makes parks, but in the long run parks remake the city. Our boroughs desperately need green network infrastructure. It is common in city-planning circles to speak of high-performing buildings. We should come to speak of high-performing green spaces as well. Public spaces exist in the all boroughs, but many are so low-performing as to go unnoticed–wasted through want of intelligent design, programming, and policy. Yet the money exists to bring high-performing green spaces to all areas of the city. Fort Tryon Park and Jamaica Bay are not situated in particularly rich zip codes, but public-private partnerships there have created what are in essence mini-Central Park Conservancies, enabling these areas to employ world-class designers and plan to widen the functions of green space. The next mayor can best serve the city by fostering collaborations of interested parties–the city, the educational and cultural establishments, community leaders, developers, transportation planners and environmental authorities–to create high-performing green infrastructure in every borough. One hundred and fifty years ago, the landscape architect Frederick Law Olmsted saw much of this. He created a great park in what was then the “outer borough” of northern Manhattan, and New York flourished around his vision. His first, and still unsurpassed, high-performance green space was the product of a heady collaboration between visionary political leaders and the greatest landscape architect of his century. In our century, too, we have made progress, and it must not stop now: as New York redesigns its shoreline in response to climate change and prepares to absorb a forecast million more residents, we should follow Olmsted’s example, plan intelligently, and lead the world in bringing the benefits of the green network to the people. Laura Starr is recent past President of the New York Chapter of the American Society of Landscape Architects and a principal of Starr Whitehouse Landscape Architects and Planners. On the Upper East Side of Manhattan, a significant cultural landscape is at risk of demolition. The Russell Page-designed viewing garden at the Frick Collection (East 70th Street b/w Fifth and Madison Avenues) is threatened with demolition, part of an expansion plan that would replace the garden and complementary elements of the Frick’s landmark-protected architectural ensemble with an 11-story tower. This garden, considered by the New York Times to be one of his “most important works,” is one of the rare surviving Russell Page landscapes in the U.S. and the only one in NYC. Please take a moment to sign your name to the online petition, (click here) calling upon the Frick to withdraw its ill-conceived plan. It’s important to send a strong message to the Frick’s Board of Trustees and Director that our community of landscape design professionals feels strongly about protecting the legacy of Russell Page and to preserve a masterfully-designed cultural landscape. IMPORTANT: When signing the petition, please include your professional or academic suffix (ie: ASLA, AIA, etc.) and consider sharing a comment in the optional box, relating why this issue is important from your perspective. To learn more, visit the website of the Unite to Save the Frick campaign. And read about the Page garden’s recent listing in The Cultural Landscape Foundation’s “Landslide 2014” initiative. The American Society of Landscape Architects, New York Chapter, opposes the Frick Collection’s expansion proposal that would destroy the superbly designed Viewing Garden by British Landscape Architect, Russell Page. Our members are urging the New York City Landmarks Preservation Commission deny the Frick’s request. The Landmarks Preservation Commission defines a landmark as a building, property or object that has a special character or special historical or aesthetic interest or value as part of the development, heritage, or cultural characteristics of the city, state, or nation. The Frick’s viewing garden, which the Commission approved in 1974, is an inextricable element of the Frick’s architectural character that helps it meet this definition of a landmark. The Frick’s 1974 Landmarks designation was done before Page’s death in 1986. As the work of a master landscape architect and a rare American commission, the Russell Page-designed garden is today eligible under Criterion C of the National Register of Historic Places criteria when evaluating significance of a property. Located in New York City amid the world’s most prestigious art museums, the Frick Collection offers art lovers a refreshing contrast to the enormous white boxes that contain many of the city’s important collections. The Frick provides an increasingly rare intimate art experience. Still, we understand the need for cultural institutions to stay relevant and to grow in order to attract visitors. The work performed by Landscape Architects is almost always part of a development project – we are by no means advocating for zero growth. However, in this case, we believe the importance of this garden should give the Board Members of the Frick sufficient reason to devise alternative expansion plans that would retain the garden. The Frick’s plans should seek to balance the benefits of economic development with the need to retain sufficient green space in our urban environment. This aspect of our city is easily lost in the shadows of tall buildings, making healthy landscapes difficult to grow. New York City’s parks and green spaces make our city a more gracious place to work and live. They are worth preserving, and in the same civic spirit of the original gift of the Frick Collection, this garden should be spared demolition. The garden is an important work of art in its own right. It is a significant piece in the Frick’s collection. The museum’s own horticulturist said that viewing the precious outdoor space from the street or from the light-filled Reception Hall Pavilion is “like viewing an Impressionist painting.” It contributes to the museum’s unique character by setting the building in an appropriately quiet, contemplative green space which prepares visitors for the culturally enriching experience within the museum. Architecturally, the original house was conceived as a “country house in the city,” a low lying structure with a large sunny garden that faces central park. The notable landscape architecture firm of the Olmsted Brothers designed the sunny garden on Fifth Avenue. The side garden designed by Russell Page, the subject of this petition, also contributes to that original concept. His original design intent was to create an enclosed terrace on East 70th Street that would evoke the charm of catching a glimpse into a private Parisian garden compatible with the Neo-classical architecture of the mansion. The Frick’s horticulturist also noted that this garden is meant to be a surprise discovery for passersby. Page’s garden is designed to slow, or stop, a busy New Yorker, to pause for a moment — a respite from the city. It’s an oasis everyone can enjoy. Green spaces, such as the Frick’s garden, contribute to our mental and physical well-being. We agree with the Cultural Landscape Foundation’s assessment: One of the wonders of the Frick is that it doesn’t fill up its site, that it has a bit of room to breathe. One of the problems with green space is that it is often just seen as inherently ephemeral and too often viewed as places to “put stuff.” Unless it is deeded as a park, it’s just real estate with some plants stored on it. This garden space is too special to erase from the cityscape. It has demonstrated its value to the citizens of New York City, and in turn its value to the Frick Collection. Should the Frick change direction and decide to save the garden, the members of the ASLA-NY stand ready to assist the Frick to retain this important work of landscape architecture while still achieving their expansion goals. Difficulty achieving project approvals from the Department of Buildings has been an on-going challenge for landscape architects. Most department officials only focus on buildings – after all that’s the name of their agency. But in the spring of 2011, Landscape Architects began experiencing absolute road blocks at the agency. To gain DOB approval Landscape Architects had to pay an architect or engineer to sign and seal their landscape drawings and forms. This was even necessary when the landscape architect was the prime consultant on the project. That practice will finally come to an end on October 1, 2014. After a concerted effort by the ASLA-NY DOB Task Force, the DOB added language to the latest revision to the building code that included a definition of landscape architect and a reference to the professional licensing of our profession including the land development tasks we perform. This was codified in Local Law 141 of 2013 (see excerpt below) which, in one of his last acts as mayor, Michael Bloomberg signed into law. This outcome is a direct result of the advocacy work of ASLA-NY. Our local chapter mobilized both members and non-members alike to volunteer their time to effect positive change for our profession. The effort lasted nearly 3 years, culminating in the Task Force Chair, Adrian Smith ASLA testifying before the New York City Council. Other task force members were in the audience ready to testify and still others came to the hearing but were turned away because the hearing room was too small. 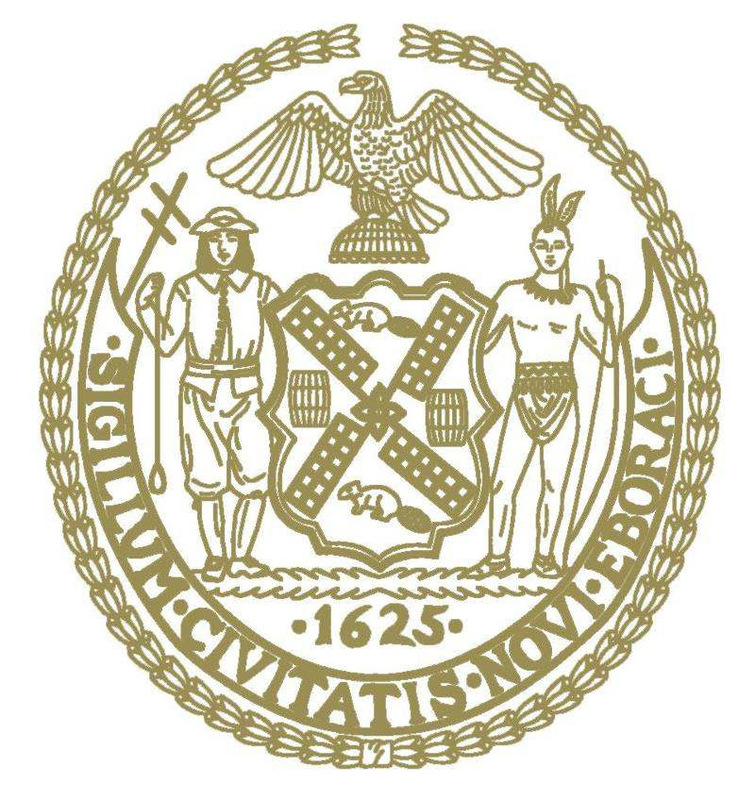 We should also recognize that National ASLA Advocacy staff helped facilitate our outreach efforts to members and to members of the New York City Council. LANDSCAPE ARCHITECT. A person licensed and registered to practice the profession of landscape architecture under the Education Law of the State of New York. §28-104.6 Applicant. The applicant for approval of construction documents shall be the registered design professional who prepared or supervised the preparation of the construction documents on behalf of the owner. §28-104.6.1 Verification of professional qualification required. The department shall not accept construction documents or other documents submitted in connection with applications for construction document approval or work permits under this code by any person representing that he or she is [an architect or engineer] a registered design professional or landscape architect without verifying, by means of lists compiled and made available by the New York state department of education pursuant to paragraph e-1 of subdivision four of section sixty-five hundred seven of the education law, that such person meets the qualifications established by law to practice as an architect or engineer in New York state. Adrian Smith is ASLA-NY’s current Trustee and is a past chapter President. For the last few years, I have had the pleasure of working for NY ASLA members as our chapter’s Trustee on the National Board. I meet with the other trustees from around the country and the Executive committee twice a year – once at the annual meeting in the fall, and once at the mid year meeting every spring. It’s my job to raise issues of import to our region at these meetings so that others from around the country and ASLA staff can hear what matters to us, and possibly help us find solutions. Here are just a few examples: I worked hard with a small coalition of other trustees to craft arguments to support linking licensure and membership; I enlisted the help of our professional practice group to see if they could help us with the prickly issue of how the intellectual property of landscape architects is not being respected, especially by many of our public clients; and with the help of our colleagues in the Advocacy and Government Affairs group at national, I was able to rally our members to contact their council members last summer and fall about the upcoming changes to the NYC Building Code that codified the definition of landscape architects and what we do. We don’t always find solutions right away, and sometimes the will of the majority outweighs the will of the minority (which is where I often find myself), but measured, steady improvements are being made in the way our society and the board of trustees is run. Over the course of the last year or so, I have served on a task force that is looking at the way the Board of Trustees operates and how we can improve not only our meetings, but also how we engage new ASLA members. We need to encourage them to become active in the issues that are critical to the continued success of our profession. I also serve on the Membership Services Committee, to work at creating, maintaining and improving the value of the services ASLA provides its members. As a member of the local Chapter Executive Committee, I also help with local projects. I enjoy working for our members to help raise awareness in the public’s eye about our profession. I can report on one small but important step on that front: On Monday, December 30, 2013 former mayor Bloomberg signed Intro 1056-A into law as Local Law 141 of 2013. This was the bill that we had been working on with the Department of Buildings to improve the process by which projects are filed with the DOB. This law is an update to the Building code that now includes a definition of our profession. It does not yet allow us to sign forms the same way that engineers and architects can, but it is an important beginning. The new law becomes effective on October 1, 2014, so soon thereafter, we will begin again to work with our friends at the DOB to revise their procedures to allow landscape architects to submit their own work without having to hire architects or engineers to do it for them. I want to give credit to the hard working task force who took time out of their business day to meet with DOB officials and to testify before the City Council Committee on Housing and Buildings. We’ll be gearing up again soon, so stay tuned! Finally, I want you to know that I raise my voice at the national meetings for you. And I have been very successful at upholding the reputation that New Yorkers have for being outspoken! It’s because we care and because we are passionate about what we do. So please, if you have issues that you think could be helped by an airing at a national meeting, tell me. Send me a message or give me a call, and I’ll be sure to voice your concerns. The meeting is coming up in May, so send me your ideas as soon as you can. And if you have any questions about what’s going on with the society at a national level, please ask. If I don’t have the answer right away, I’ll be sure to get it for you.